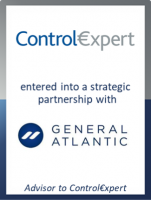 ControlExpert, a disruptive technology service provider to the car insurance industry and Europe’s largest InsurTech company, announced a strategic partnership with General Atlantic, a leading global growth equity firm providing capital and strategic support for growth companies. General Atlantic joins the founder and management teams as a new shareholder in the company. GCA Altium acted as exclusive financial advisor to the shareholders of ControlExpert. Founded in 2002, ControlExpert provides technology services that streamline various elements of the claims management process by using a combination of software, data analytics and human expertise to assess the magnitude of damages and the associated repair expenses. The company facilitates the communication among all participants in the claims settlement process, including insurance companies, car repair shops, car owners, OEMs as well as leasing and fleet management companies, and enables a more cost- and time-efficient processing of claim expenses. The digital pioneer in automation supports its customers internationally and is already present in 13 countries globally. General Atlantic joins the founder and management teams as a shareholder in the company. General Atlantic will employ its industry resources and expertise as well as its global franchise to empower ControlExpert to become a global strategic partner to the car insurance ecosystem. In its next phase of growth, ControlExpert will focus on further enhancing its technology platform to offer top-notch innovation to its customers and continue to concentrate on fulfilling its mission to provide the highest quality products and services in the industry.